One way to make the engine bay in your car wake up and look respectable again at home in minutes is adding the optional under hood insulation blanket to the bottom of your hood. 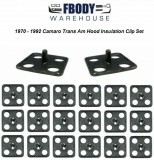 We offer the clips and blankets you need for a quick and clean install. 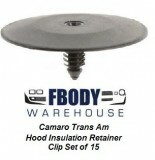 The hood blanket prevents heat on the hood and does help to maintain the quality of the paint on the top side of the hood by displacing the heat. 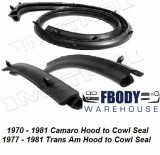 For 1970 1971 1972 1973 Camaro it has never been easier for make the engine bay pop again!